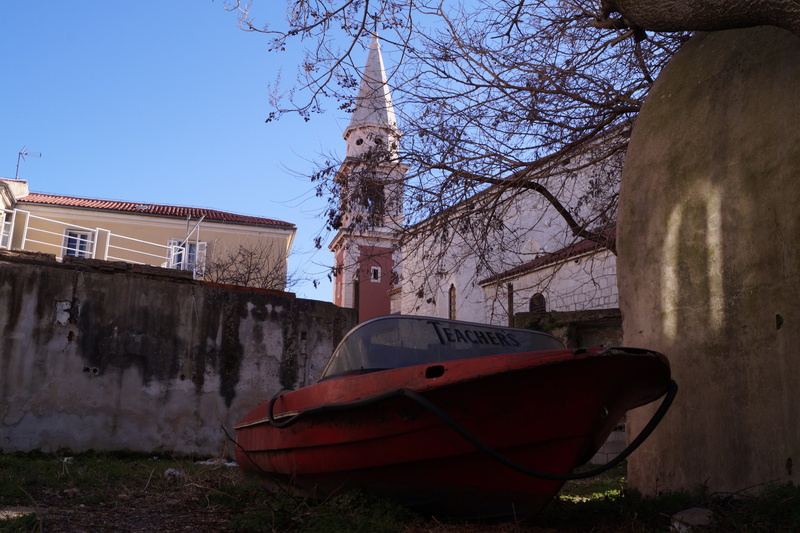 During the walk around our hometown Zadar, in the little alley behind the church, we found this small red boat. It is broken and somebody just left it there. However, it fits well into the picture.